Every once in awhile we experience days that we just don’t feel good about ourselves. Whether it’s because of something someone said to us or just because we’re having a bad hair day, it’s always nice to have a reminder of how awesome we really are. Here are 8 reminders to keep in mind on your tough days. 1. 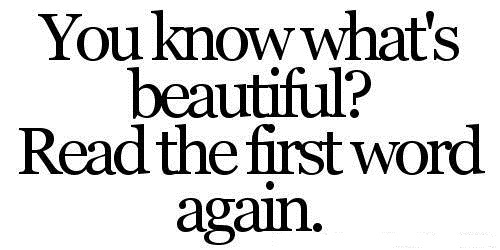 Remember that you are beautiful! Everyone is beautiful in their own way. You’ve heard it a hundred times before, but that’s just because it’s true! You may think that you’re too bossy, but others see you as a good leader. You might think your eyes are an ugly colour, but someone else thinks they’re beautiful. You might hate the sound of your laugh, but someone else might think it’s adorable. Never try and change what you think are your imperfections because I guarantee there is someone who admires them. If you are feeling like you are different from all the other girls and like you don’t fit in, that’s not a bad thing! The fact that you are different makes you unique and special. If you aren’t going to be yourself, no one else will, and that would be a loss for everyone. Everyone makes mistakes, and most of the time we can’t undo them. It is how we respond to these mistakes that will define us. Rather than dwelling on how horrible you are for what you’ve done, grow from it, and learn from it. Our best lessons come from our mistakes. And remember, it’s never to late to try to right a wrong. If no matter how hard you try you cannot get yourself to be comfortable with your weight, or your weird nose, or your different smile, then focus on the parts that you do like. Choose a part of your body that you really love and direct your attention there. Try and accentuate and appreciate that feature instead of trying to hide the others. We all have super embarrassing moments and can say very embarrassing things. Don’t let them get you down. 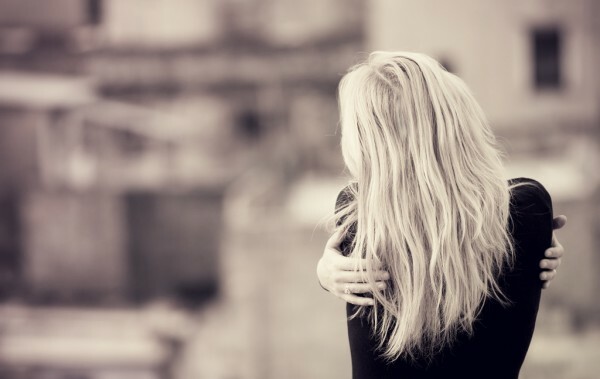 It is easy to think that your embarrassing moment has now defined your life, but it won’t. Look at the big picture, will this moment really effect you in a few years? If the answer is no, just laugh it off. I’m not saying you can never eat your favourite treat again, or that you have to exercise every single day. However it is good to provide your body with the nutrients and physical activity that it needs. The good nutrients in healthy foods can actually boost your mood, and the endorphins that are released when you exercise has been scientifically proven to make you happier. Not to mention, your body will feel stronger and healthier. And as ambassadors for the David Cornfield Melanoma Fund, we want to remind you to also love the skin you’re in! Skin cancer is a real thing, so make sure to protect yourself from the sun’s harmful rays: stay in shaded areas as much as possible, wear a hat and long sleeves, and of course, never leave the house without putting on sunscreen with a minimum of SPF30 sun protection! 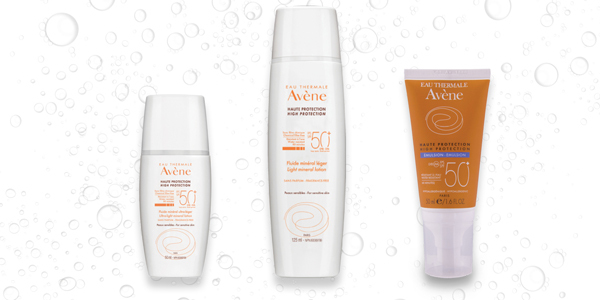 Our fave sun care lineup is from Eau Thermale Avène! Their products are great for sensitive skin as they’re 100% mineral, have no chemical filters and are fragrance free. You might feel like your friends are so beautiful, there is no way they feel as insecure about their body as you do. If you talk to your friends about insecurities I promise you probably never noticed your insecurities and they will have insecurities of their own. Instead of focusing on the negative, empower each other to over come their insecurities by focusing on the positives – what are else are friends for? This post has been produced in partnership with Eau Thermale Avène.